I posted about DEATHMASK when I was working on it back in January and again when it was a finalist in the 2013 Manly Artist Book Awards without, I now realise, actually giving any details of the piece. It's a concertina binding with Geltex covered boards and gros grain ribbon hinges that features multiple images of the death mask of Ned Kelly. 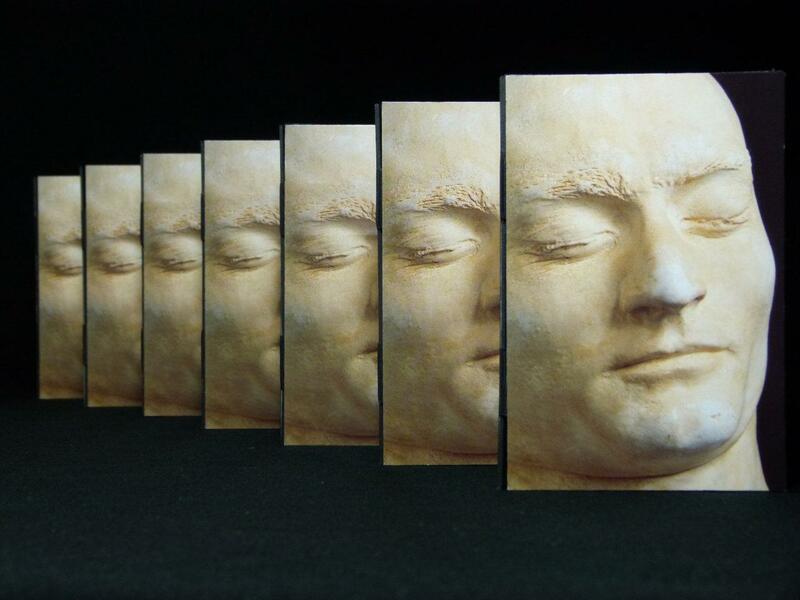 There's something about the apparent serenity Kelly has reached in death that appealed to me when I found a bunch of postcards of the death mask a couple of years ago. The work arrived back from the Manly exhibition last week and has now been posted off to Artspace Mackay where it will be a finalist in this year's Libris Awards.